Pierre Gasly to replace Daniel Ricciardo at Red Bull from 2019. Discussion in 'Sports' started by Swami, Aug 21, 2018. 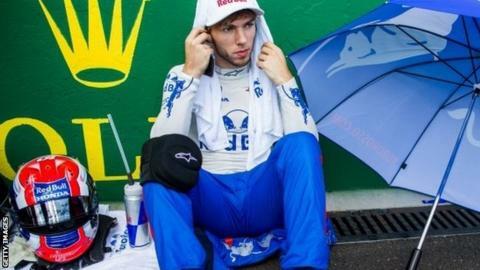 French driver Pierre Gasly will replace the departing Daniel Ricciardo at Red Bull next season, the Formula 1 team have announced. The 22-year-old, who drives for Red Bull's junior team Toro Rosso, will line up alongside Max Verstappen. Australian Ricciardo will leave for Renault at the end of this season. "This incredible opportunity is another step forward in my ambition to win grands prix and compete for world championships," said Gasly. He only made his F1 debut at the Malaysian Grand Prix last October, but has scored 26 points for Toro Rosso this year, with a best finish of fourth in Bahrain. Red Bull have struggled for consistency this year, but have won three races - two by Ricciardo and one by Verstappen. "Red Bull has always looked to fight for championships or victories and that's what I want," added Gasly.